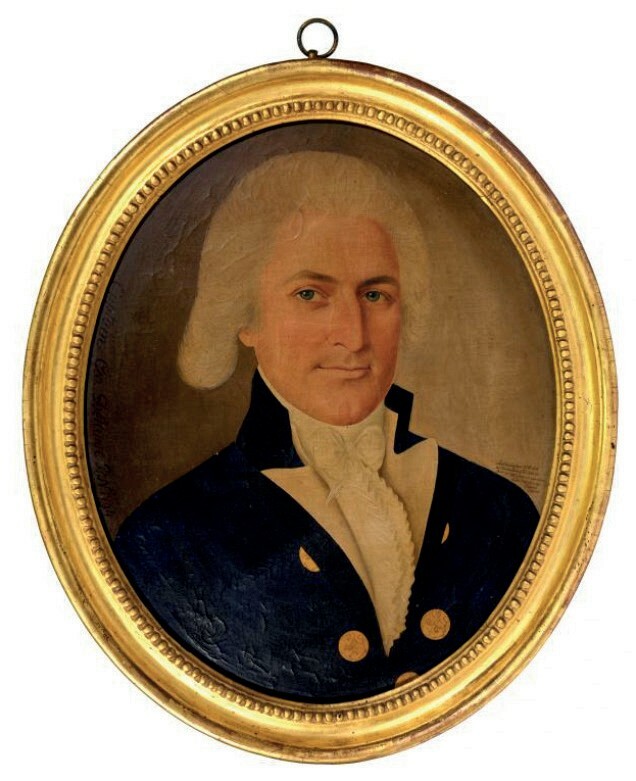 An oval oil portrait painted by Spoilum (fl.1785-1805) depicting Captain George Delanoe that sold for £38,000 at Mellors & Kirk in Nottingham. According to a small inscription above the sitter’s left shoulder in the 16 x 13in (41 x 33cm) portrait, Delanoe lost his leg after a ‘32lb’ shot was fired from another vessel at the Nore mutiny, which took place at the Royal Navy anchorage in the Thames Estuary in May 1797. 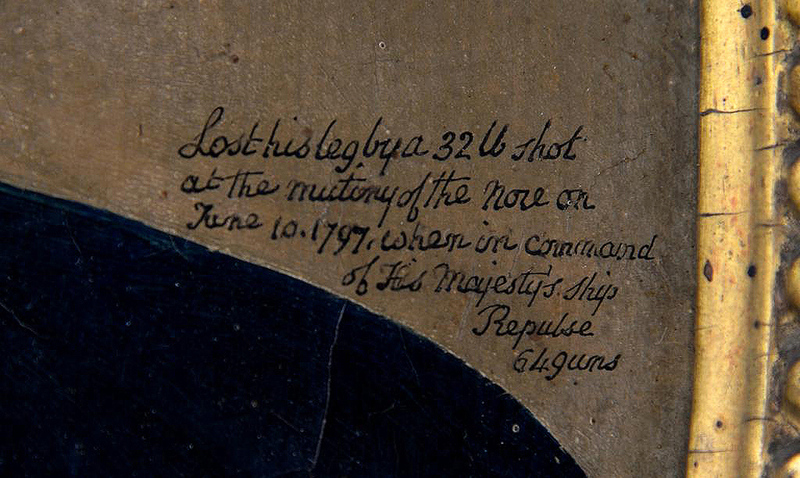 The small inscription, above Captain George Delanoe left shoulder, describing the incident. He was awarded a pension and later promoted to captain, although he did not live long enough to assume the rank. Estimated at £1500-2000, it was hammered down at £38,000 during a two-day sale of a single-owner collection at Mellors & Kirk on February 6-7 in Nottingham. It comprised 850 lots from the contents of collector Harold Ward’s Manthorpe House cottage in Grantham. Ward had filled his home over many years with thousands of antiques largely from the 18th and 19th centuries.